Newton's Nook Designs April Release Day 3! Happy Wednesday everyone... 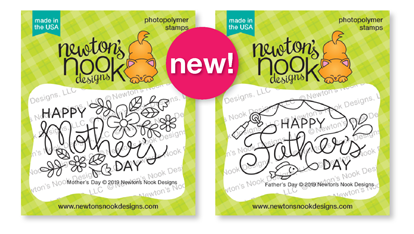 It's Day Three of the April Release from Newton's Nook and today we are sharing my absolute favorite set from this release. 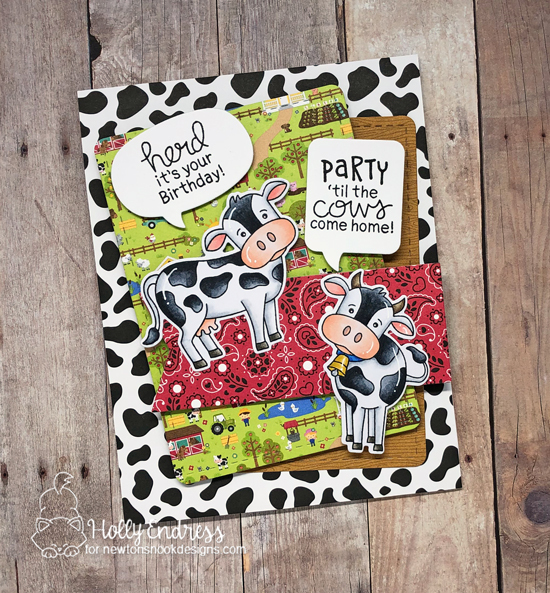 If you know me personally you know I have a thing for Cows so this new set Moo and it's coordinating dies. 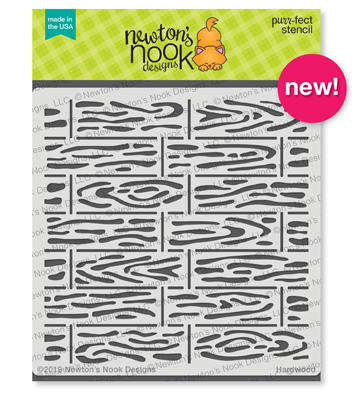 I went a little crazy with the pattern papers on my project today. 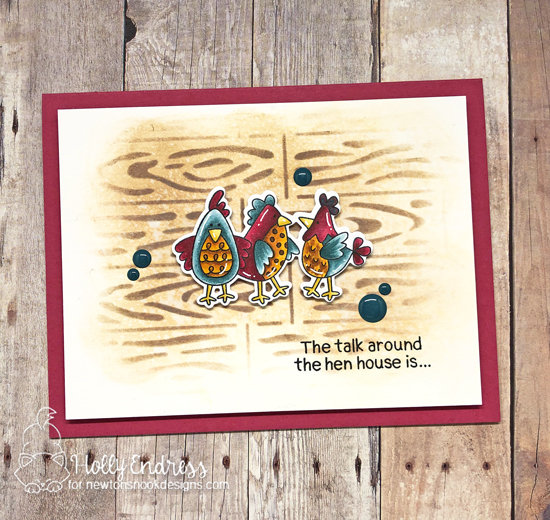 I'm also sharing the new Speech Bubble Die set as well on my card. 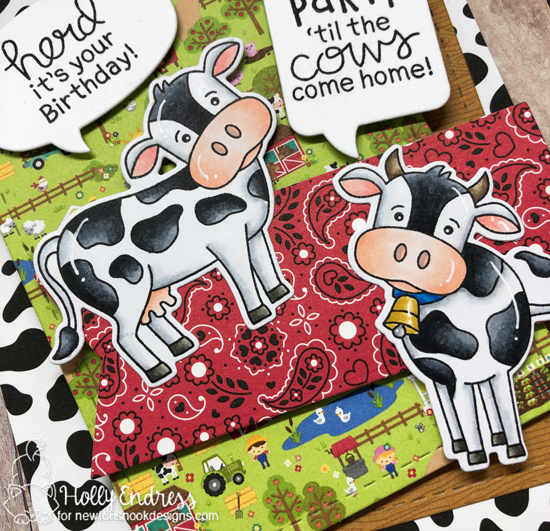 I created the layout with some Fun pattern papers and the Frames and Flags Die set. 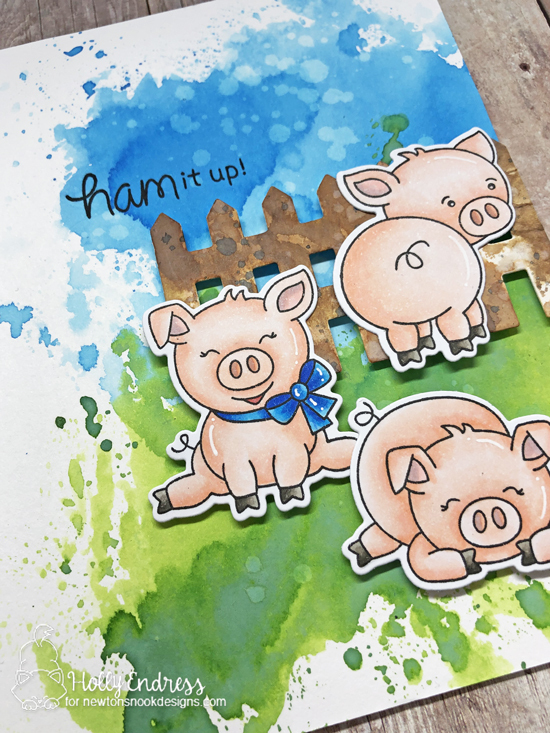 Then I stamped the images onto some Copic friendly paper and colored them in. I used the coordinating dies to cut them out. I die cut two of the speech bubbles from some White cardstock, stamped the sentiments and adhered them with foam tape. 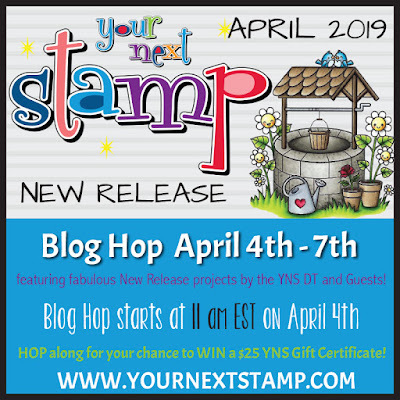 YNS April Release Blog Hop!!! 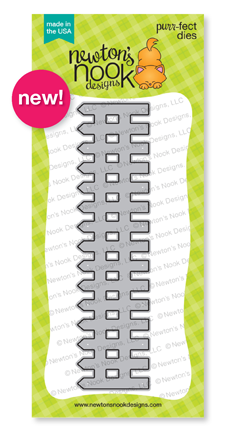 It's time for the April Release from YNS. 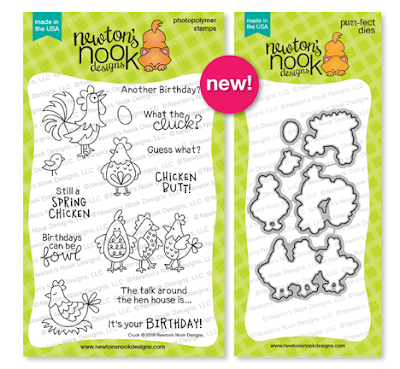 Hop along with the Design Team and guests as we share a look at the New Release. Be sure to leave comments along the way for a chance to Win a $25 Gift certificate to the YNS Store. 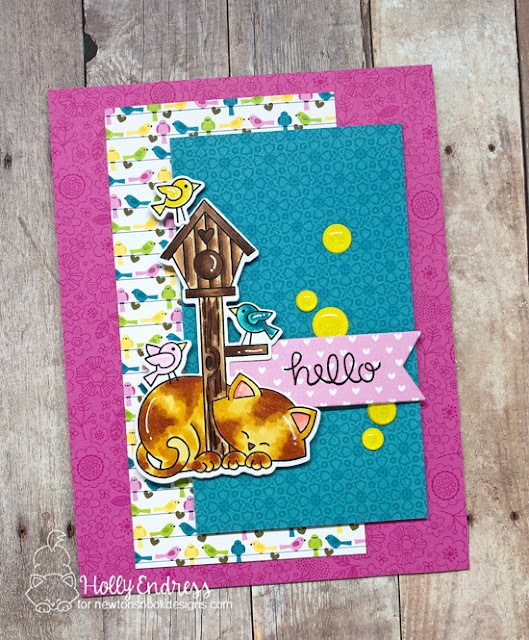 My project today features the new Photo Booth Thumbs Up stamp and die set and the Paw Print Panel die. 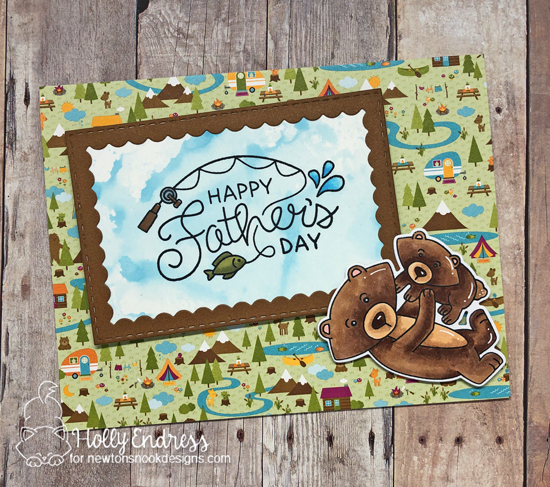 I die cut the panel die and then layered it over some pattern papers from the Mint Cocoa Kisses Pad. Then I used the new Stitched Fishtail/Banner die set to cut some more papers and layer them. I die cut the Photo Booth Polaroid die from some White cardstock and stamped the sentiment in Mocha and Black Olive inks. 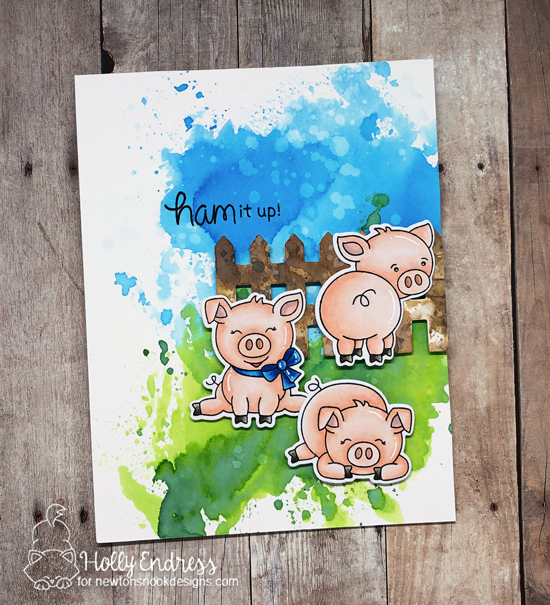 I stamped the image in the center and colored it with Copics. 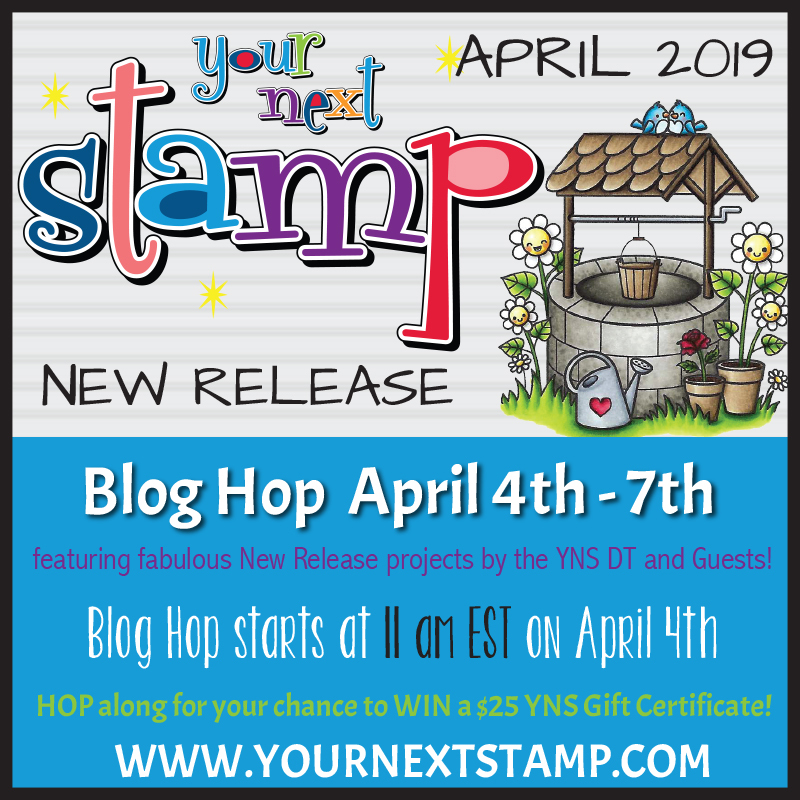 It's time for a peek at the Your Next Stamp April Release and be sure to join us tomorrow at 11am EST for the New Release Blog Hop and a chance to WIN! 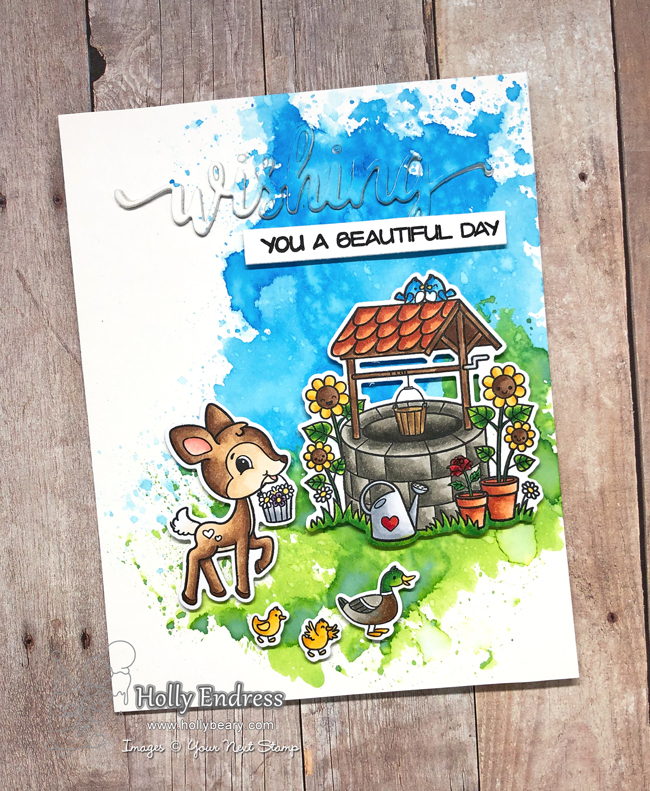 My project for today shares the Adorable new set Joyful Wishing Well and it's coordinating die set I'm also using the new Fancy Wishing Word Die. I created a background with some Distress Oxide Inks on a watercolor card base. Then I stamped the images onto some X-Press It cardstock using the YNS Black Olive ink and colored them in with Copics. 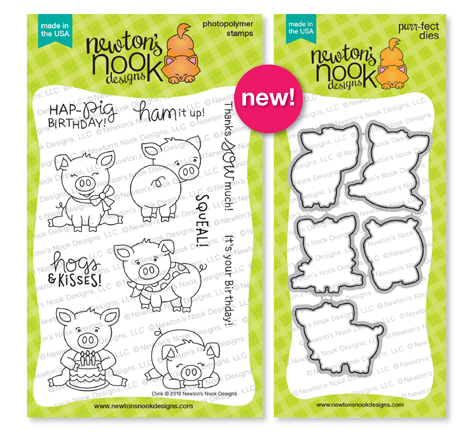 I used the coordinating dies to cut the images out. 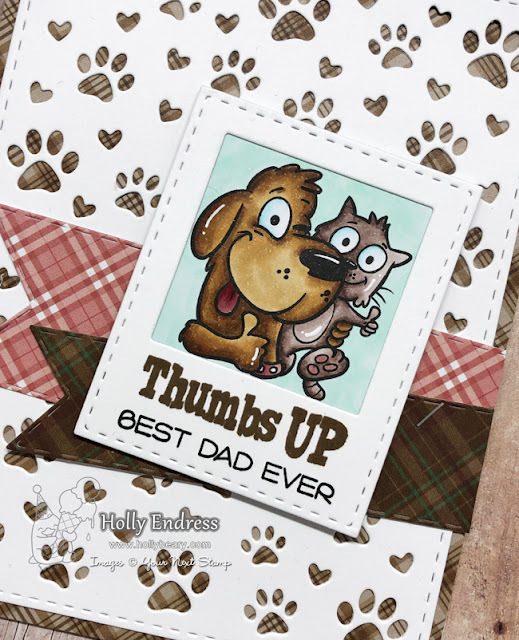 I die cut the Fancy Wishing Word die from the Distress ink panel and then I die cut it three more times from White cardstock and I stacked them and added it back onto the panel to create dimension and have the sentiment popped up. I stamped the sentiment onto a strip of White cardstock and added it just below. 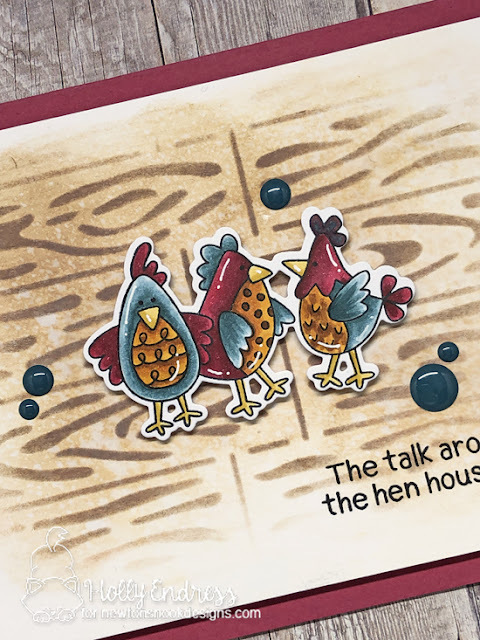 I adhered the images to create a scene with some foam tape. 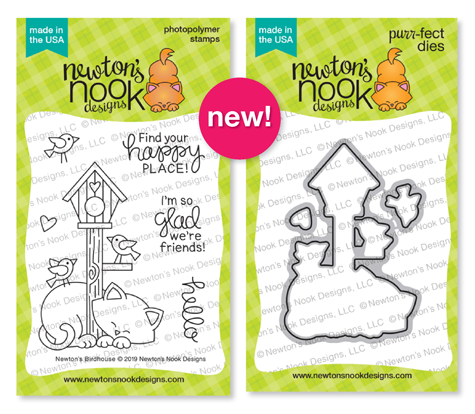 Head over to the YNS Blog for a list of the blogs and hop around for a peek at what's coming tomorrow with the New Release. And be sure to join us tomorrow at 11am est for the Full Blog Hop and all the new products will be available to purchase. 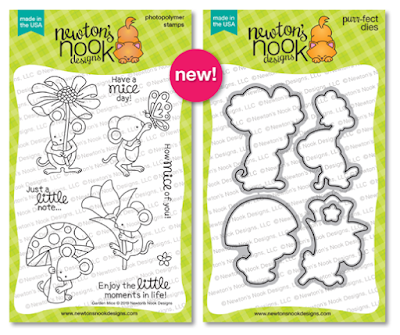 Newton's Nook Designs March Release Day 4!! It's our final day of Sneak for the March Release at Newton's Nook Designs... all of the new products we've been sharing all week, including today's look at the new Garden Mice set will be available in the shop tomorrow March 15th, so be sure to stop by and pick up your favorites! 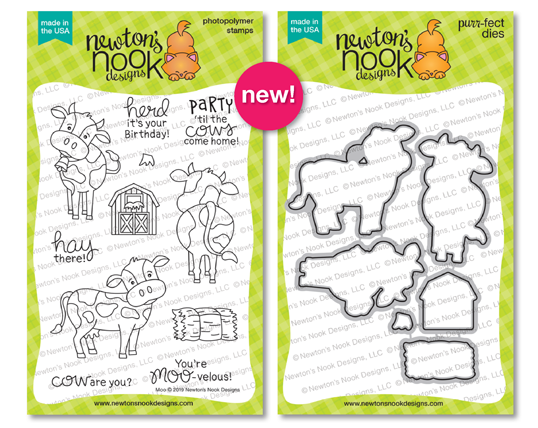 This is such an Adorable set and the images are so fun to color. 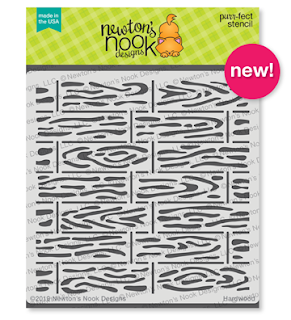 I created a White card base and then I die cut a banner from the Frames and Flags Die set. 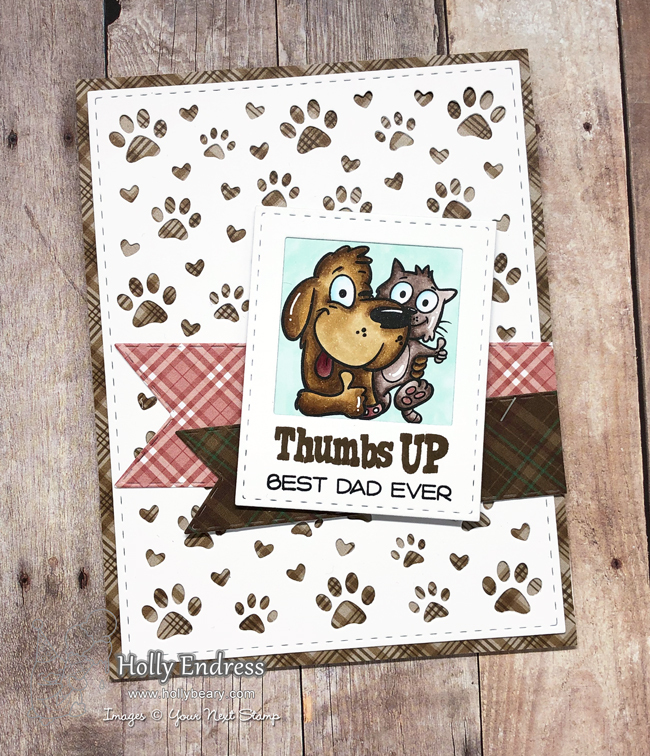 Then I stamped the sentiment and adhered the banner in the center of the card base. 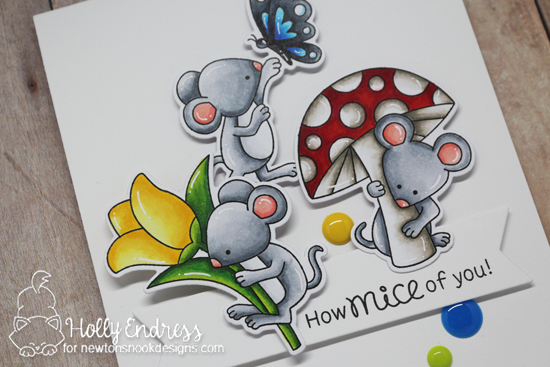 I stamped and colored the mice and used the coordinating dies to cut them out. 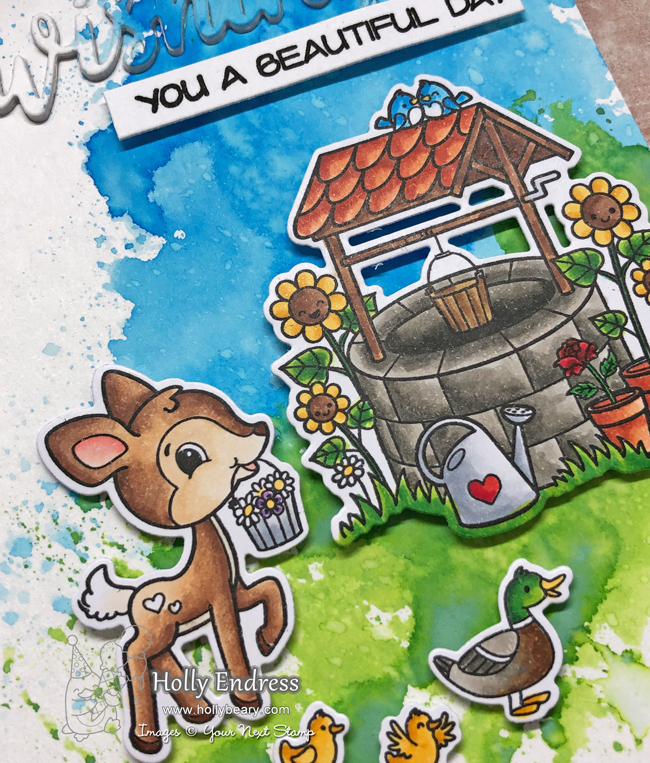 I added some extra details with a White gel pen. 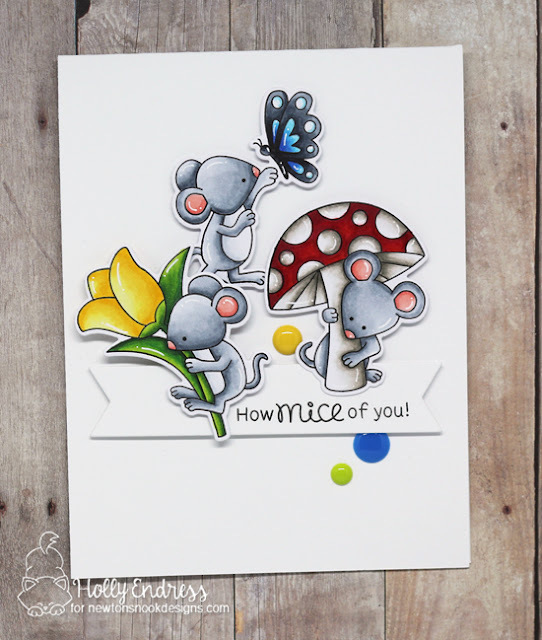 I adhered the mice with foam tape and then I added some coordinating enamel dots in bright colors. I really like how the Mice pop off the white background. Would you like to win the “Newton’s Birthday Trio” or the “Paw-some Birthday” Stamp Set?